Welcome to our 32nd annual York Festival of Traditional Dance, celebrating the many and varied styles of traditional dance in the UK. Over the years we have had support from more than 130 visiting teams from across the country and beyond. 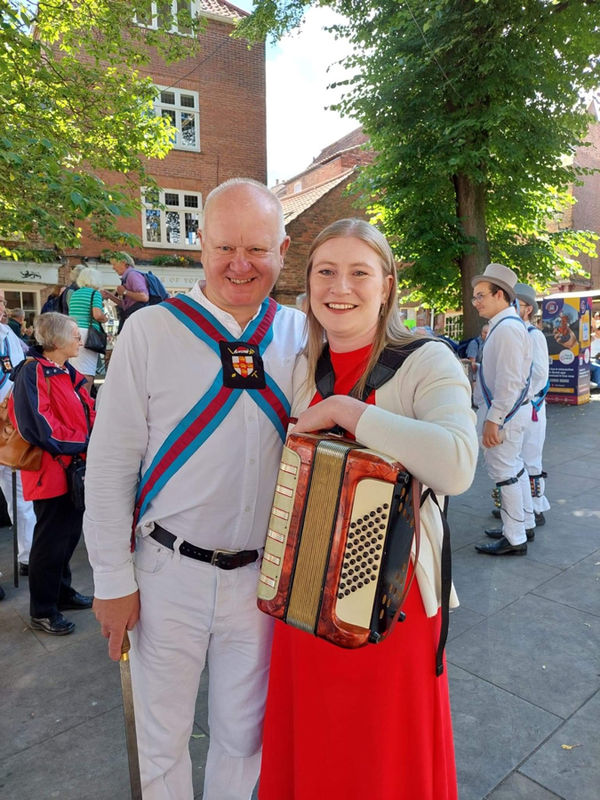 For two days in September York will come alive once again to the sound of jingling bells, clashing sticks, tapping clogs, and rhythmic tunes. There will be the spectacle of over 200 brightly costumed dancers and musicians performing a variety of different styles. If you are not familiar with traditional dance, or you are but want to see more, then please come along and enjoy the skillful displays of dance that are part of our heritage. The event starts at 10:35 on Saturday 7th September with a procession from St. Helens Square and along Davygate to Parliament Street. Teams will then dance in Kings Square, St. Sampsons Square, Exhibition Square, St. Helens Square, Minster Piazza and Parliament Street . 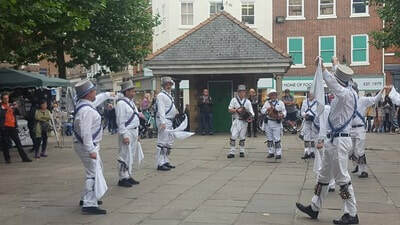 On Sunday 8th the dancing will continue in the centre of York between 11am and 1:30 pm. 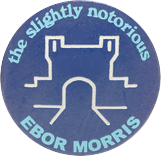 Teams this year are Ebor Morris, Acorn Morris, Minster Strays, Brackley Morris, Brittania Coconut Dancers, Persephone, Stoney Steppers, Stone the Crows, Blackheath Morris, Silkstone Greens, Leeds Morris, Hornbeam Molly, Makara Morris, Pecsaetan, Herring Gals, Richmond Morris Men, Black Diamond, and Ripon City Morris. With thanks to our sponsors: Acorn Instruments, Red Cow Music, Browns Cafe-Restaurant, and Inc-Dot Design and Print. Please note that some of the dancers attending will have their faces painted black. This has been traditionally used as a disguise for centuries, to prevent the dancers being recognised. Further down this page is a supporting letter from the Department of Culture, Media and Sport .